Join Wayne Pacelle at Animal Humane Society in Golden Valley on October 9. 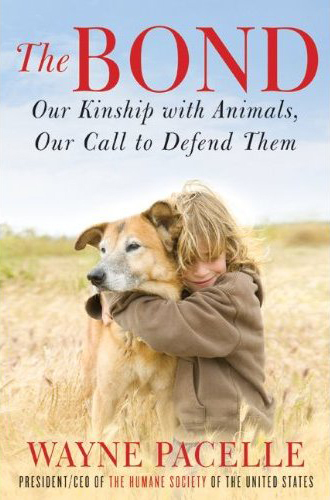 Wayne Pacelle, CEO of the Humane Society of the United States, wrote "The Bond: Our Kinship with Animals, Our Call to Defend Them." In the book, he discuss what drives the human-animal bond and how it exists within all of us. But he also takes an honest look at where the bond has been broken, and why we as a society have such a contradictory relationship with animals. We say we love them, and object to cruelty, but there's still so much abuse in the form of puppy mills, animal fighting rings, and factory farms, to name just a few examples. Please come to the book signing on Tuesday, October 9, at the Animal Humane Society, 845 Meadow Lane North, Golden Valley, Minnesota.